The 2014 International Computer Electronics Show, in Las Vegas, caters a wide range of revolutionary wearable computing devices, from cameras to physical fitness gear -- all depicting a more interesting technology. Among the most visible trends in this year's CES event were the latest, more advanced and smarter wearable gadgets, more than just the existing typical step-tracking fitness brands. Considering the show as huge and eventful, remembering all product releases from various famed manufacturers and companies is a bit tough. To make it easier, we sum up all the newly-unveiled wearable gadgets, which fall under the most interesting lineups. 1. 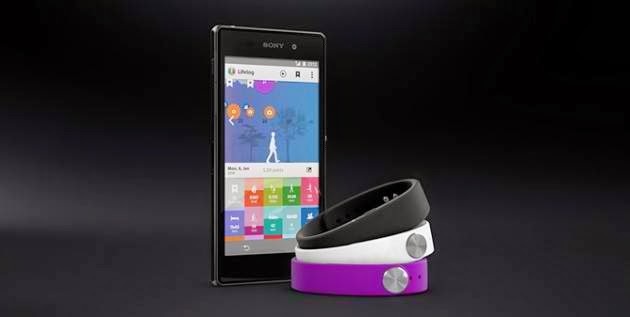 Sony's SmartBand - It's a new Sony creation that pulls in pictures and updates from social media networks to integrate with your physical activity. Expected to debut this spring, Sony's new SmartBand functions collaborate with its LifeLog application to make a visual representation of your day. 2. Pebble Steel Smartwatch - It's the latest creation from the well-received Pebble that comes with a nice-looking new stainless steel finish and waterproof metal upgrade. The Pebble Steel is now available for pre-order with price range between $249 and $100 higher than the original Pebble smartwatch. Available options are a black matte finish and brushed metal. 3. June Wristband - It's another type of wearable device from Netatmo that tracks your exposure to UV rays, using a sensor and its companion application lets you know when you are likely be at risk. The June wristband is expected to arrive in a few months for a starting price of $99. 4. Reebook's Checklight - It's just another type of wearable gadget, specifically conceptualized as a helmet that works to warn users, particularly, athletes of possible concussions or hard head impact during sports. Its best use is for extremely physical sports like American football, car racing, kite-surfing and hockey for kids. The Checklight is now available for retail and sells for $149.99 via Reebok’s official website.